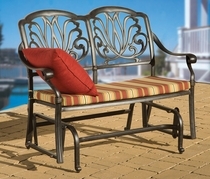 For over 45 we are proud to present our collection of the finest Cast Aluminum Furniture. Our Cast Aluminum is durable, practical, decorative, and lightweight. It is easy to clean, will not rust, and provides years of trouble free use. 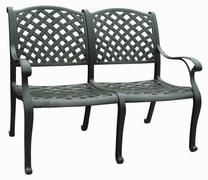 The distinctive styling of our Cast Aluminum sets will help you create a private paradise in your own backyard. Our Cast Aluminum goes through a multi-step finishing process and receives a baked on powder paint coat, much more durable than conventional wet paint.